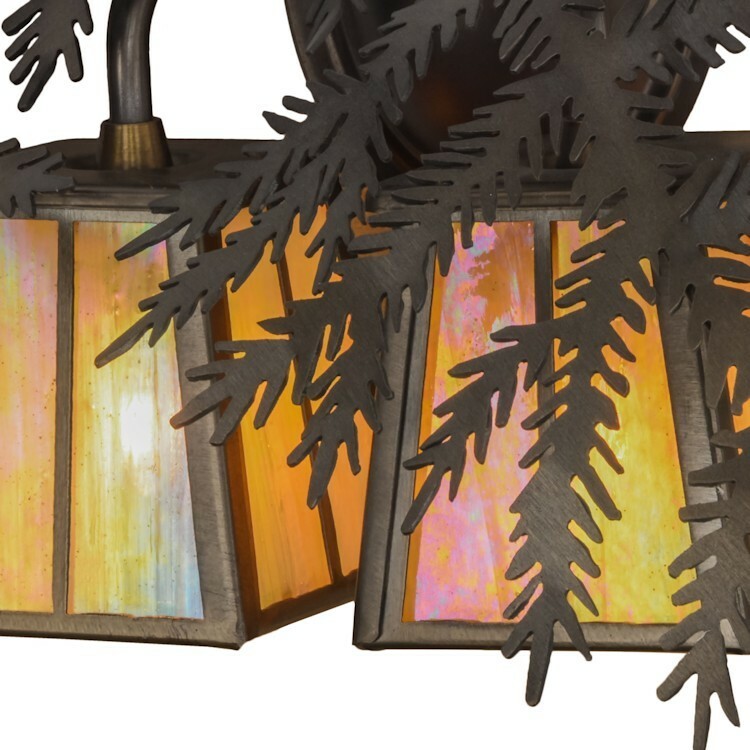 Invite the rustic charm of the forest indoors with this perfect complement to your camp, lodge, home or business. 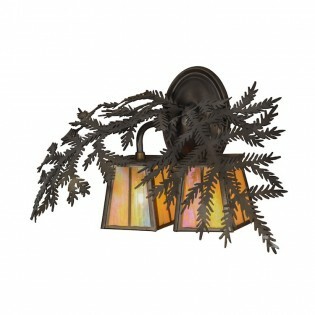 Beige Iridescent glass lanterns adorn Pine Branch shaped arms of this unique nature inspired Pine Branch 2 Lt Wall Sconce. This stunning fixture features hardware in an Antique Copper finish.